The big news this week is that a blue marlin joined the offshore fishing party that’s been happening in U.S. waters. While there have been reports of large marlin being seen the last few weeks, someone finally hooked one over the weekend. The fish, which was estimated to be in the 400-pound class, was hooked during the Oceanside Anglers Marlin Tournament aboard the Reel Nice & Easy. 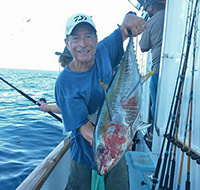 Captain Clayton Dobbs was fishing aboard the Reel Nice & Easy, one mile west of the 152 when he spotted skipjacks puddling and decided to put out a KK Pono, Skipjack-colored, jig on the “long-gone” behind a black and green bird. That decision led to a five hour battle that ended when the fish broke the leader at the side of the boat. 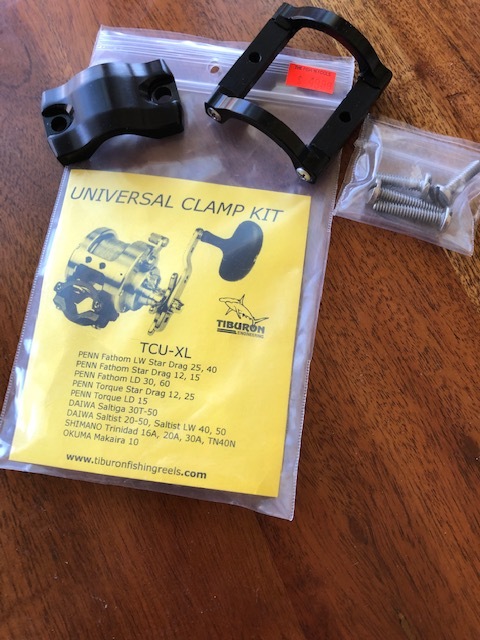 In other news, the tuna bite off Catalina and San Clemente Islands continued despite some wind over the weekend and again later in the week. 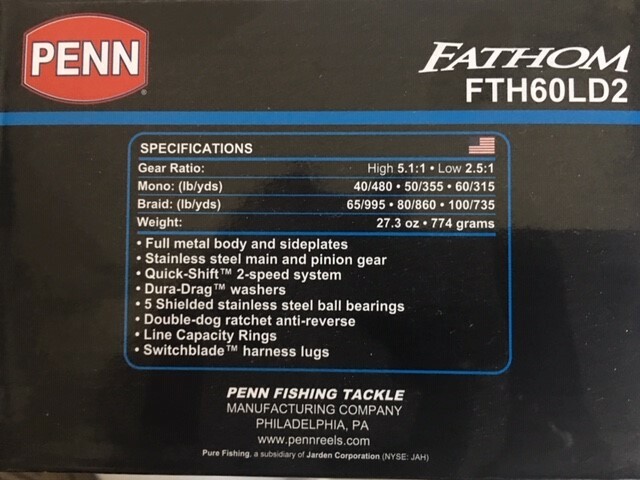 The bite in this zone has been on and off, with the “off” days producing decent fishing if you can find the right school and the “on” days producing wide-open bites. As an example, the Native Sun on a 3/4-day trip out of 22nd Street Landing found them biting on Monday and managed 180 fish during a two-hour stop. Private boaters are also getting in on the action and reporting easy fishing for tuna. 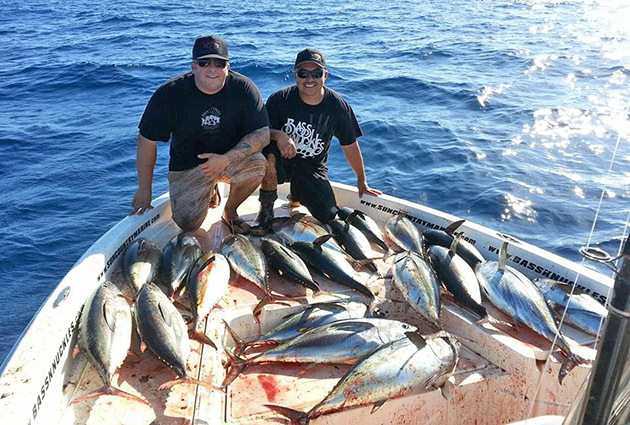 Bobby Martinez and Chris Bona fished out of Long Beach earlier this week and reported easy limits of yellowfin. 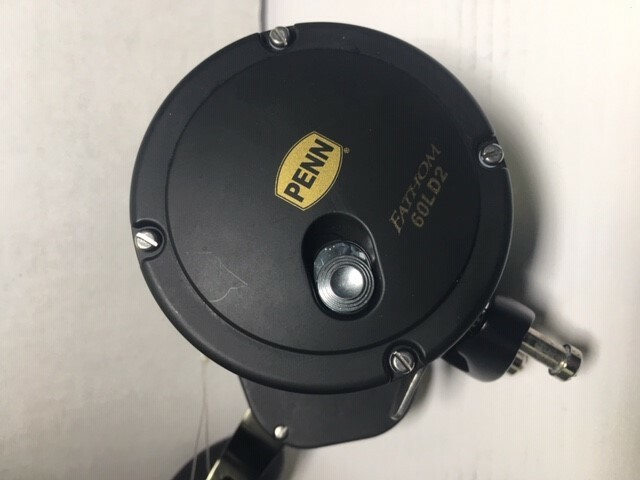 The key to small boat success has been finding fish away from the fleet. 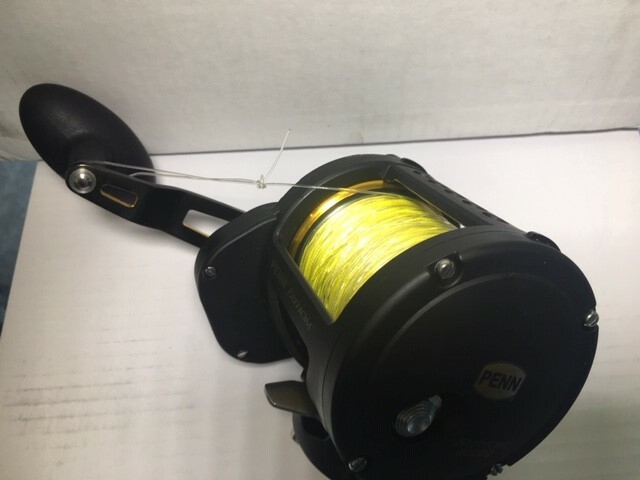 Your best bet for taking advantage of the tuna bite continues to be the overnight trips as they offer the most fishing time and a better opportunity to find a fresh school. Despite the fact that overnight boats from Ventura to San Diego are all reporting fish, your best bet is to fish out of an LA or Orange County landing. 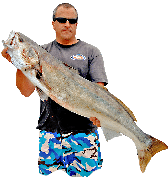 Almost all of the sport boats are fishing off Catalina and San Clemente, so there’s no reason to drive from LA to San Diego, just to take a boat ride back to LA to fish. The San Diego 3/4-day fleet is one of the exceptions to the rule. 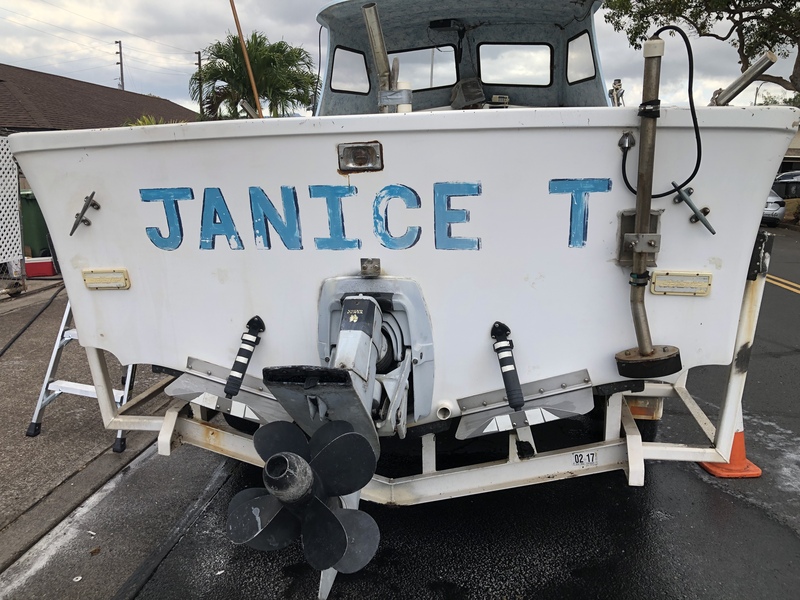 These boats are fishing in U.S. waters but near the border. This area can be hit and miss, but on the days it hits it’s lights out. 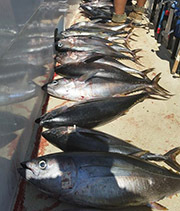 The San Diego out of Seaforth Landing put up a huge score earlier this week when their 38 passengers brought in 325 yellowfin tuna and 50 yellowtail. This score is absolutely an exception, but these boats have been averaging close to 100 fish per trip. There are still plenty of tuna to be caught south of the border, but there aren’t many boats looking down there because the fishing is so good up the line. Boats that are fishing south are seeing a lot of dorado on kelps. 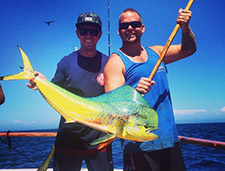 The dorado fishing should continue to improve as long as the water temps stay high. 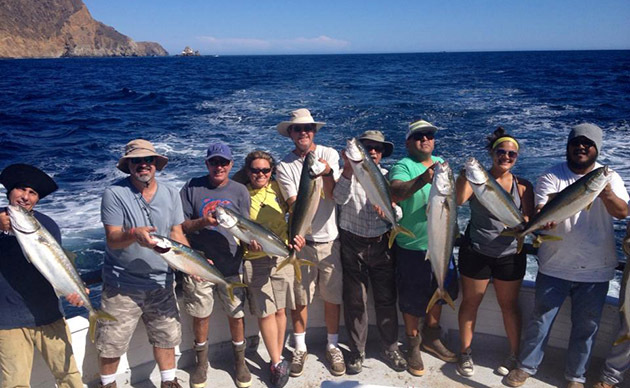 On the inshore scene, the big yellowtail continue to bite around San Diego for half day boats fishing from the border up to La Jolla. The boats aren’t getting big numbers, but with fish in the 20-30-pound range being caught, it’s worth giving it a shot if you’re looking for a change of pace. 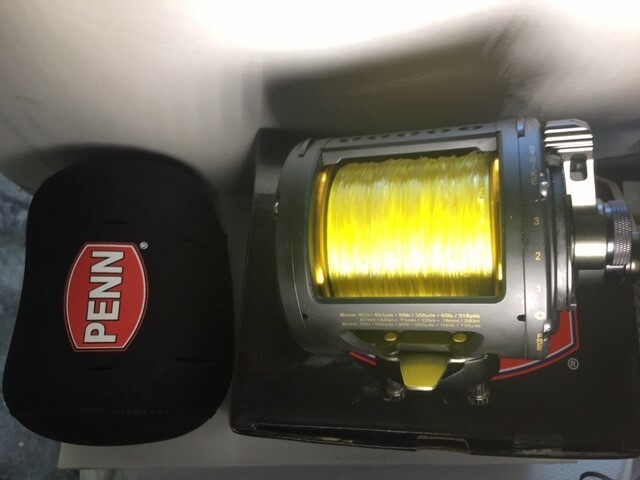 These yellows are being caught on live bait and jigs. 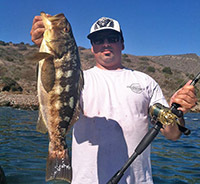 From San Diego to Newport Beach, the kelp beds are producing steady calico bass fishing along with a shot at yellowtail. For the most part the yellows are small, but there have been a few bigger fish in the mix. Newport to Long Beach continues to be a dead zone and most boats are fishing rockfish in that area. There are some bass and yellows being caught in the Santa Monica Bay, but it’s far from what anyone would call good fishing. For anyone looking to catch bass or yellowtail, I’d recommend fishing the islands. Catalina is producing good bass fishing for the calico guys and there is a ton of small yellowtail along the front side of the island. San Clemente Island is offering the same but hasn’t been getting a lot of pressure because everyone is looking offshore. Finally, the Channel Islands are kicking out some bass, bonito and yellowtail as well. Most of the yellows are being caught along the backside of Anacapa and Santa Cruz Island by the 3/4-day fleet out of Ventura. One of the better scores this week was the eleven fish caught aboard the Gentleman out of Channel Islands Sportfishing. These yellows are readily biting the surface iron.